LONG on my list of top places to visit (and most popular with clients!) was GREECE! 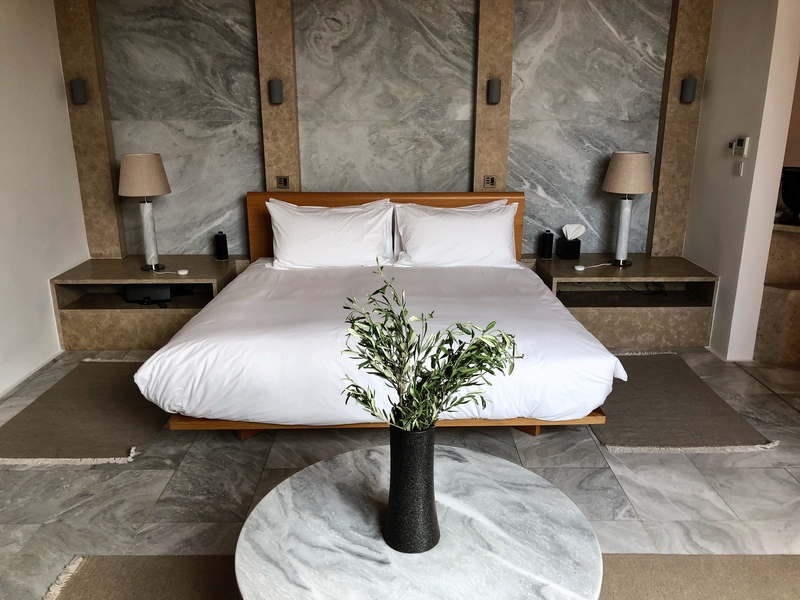 I’m thrilled to have recently returned from an amazing 10-night trip, staying in 6 different hotels, to check out the hot spots there as well as some great off-the-beaten-path places. Blog Part 1 consists of Athens (a must-do for at least two nights!) 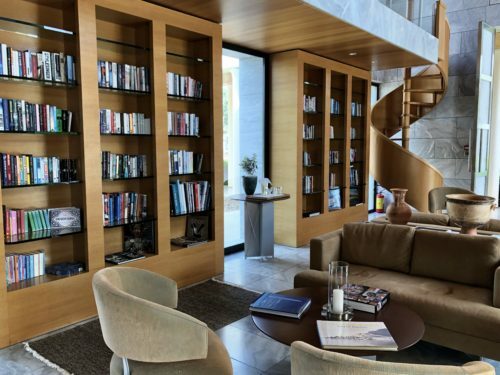 as well as the hidden gems of Naxos and Spetses, along with the stunning 5* Amanzoe resort in the Peleponnese. Part 2 will cover the best of Mykonos and Santorini! First, check out why to go Greece NOW, and then continue on for all the details!! 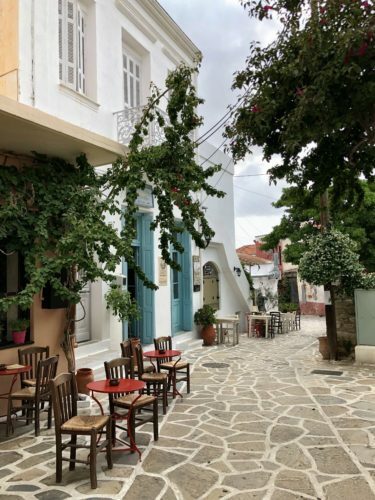 1) The Hidden Gems – like Spetses and Naxos. Greece is more than just Mykonos and Santorini! While the latter islands are definitely worth a visit, there are SO many more islands with an authentic, local feel that are very worth exploring! 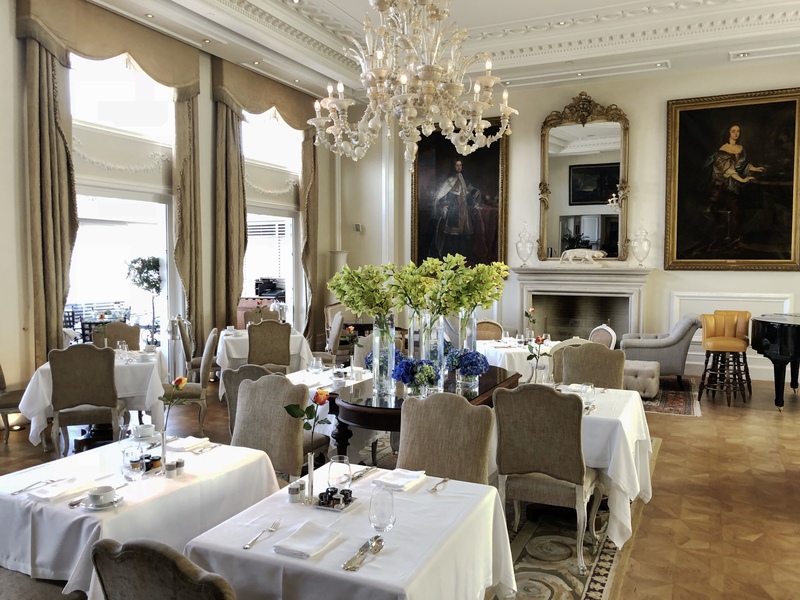 2) The Food – oh my yum! 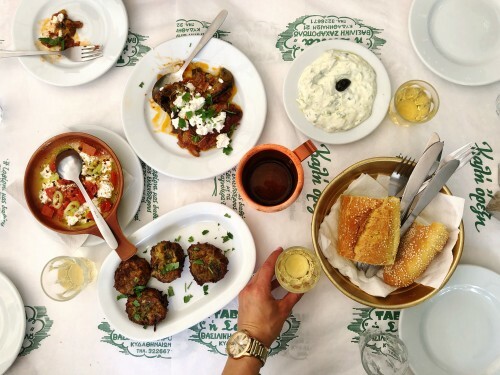 The freshest seafood, delicious Greek salads and local specialties like dolmas, moussaka, spanakopita, tzatziki, baklava, and a new one I learned called kormos, a Greek chocolate dessert.. YOU NEED THIS IN YOUR LIFE, trust me. 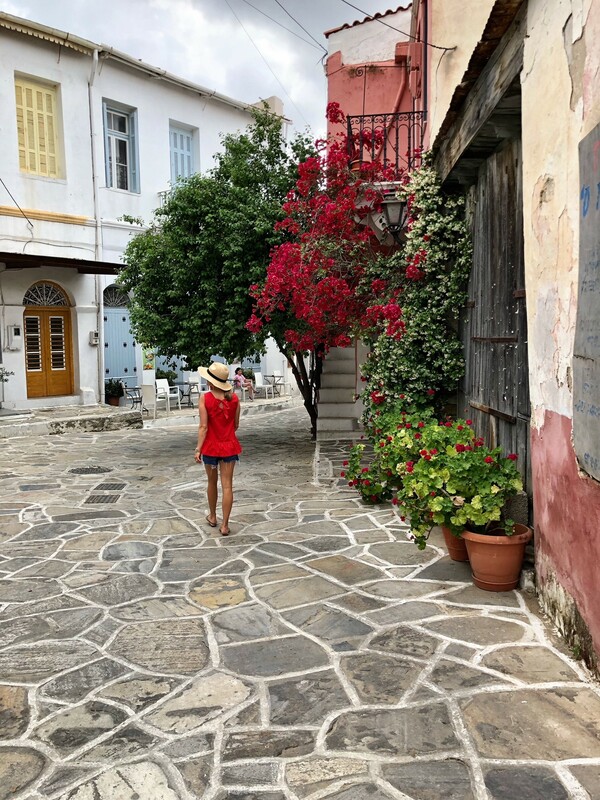 3) The People – every local person I met, including my onsite travel partners who help me plan my clients’ trips in Greece, was so incredibly welcoming and charming. 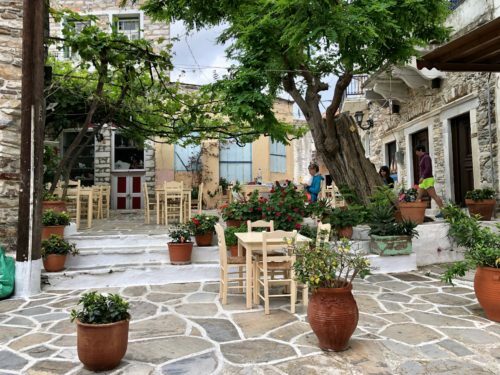 The Greek people love life and visitors and are happy to share their country with you. 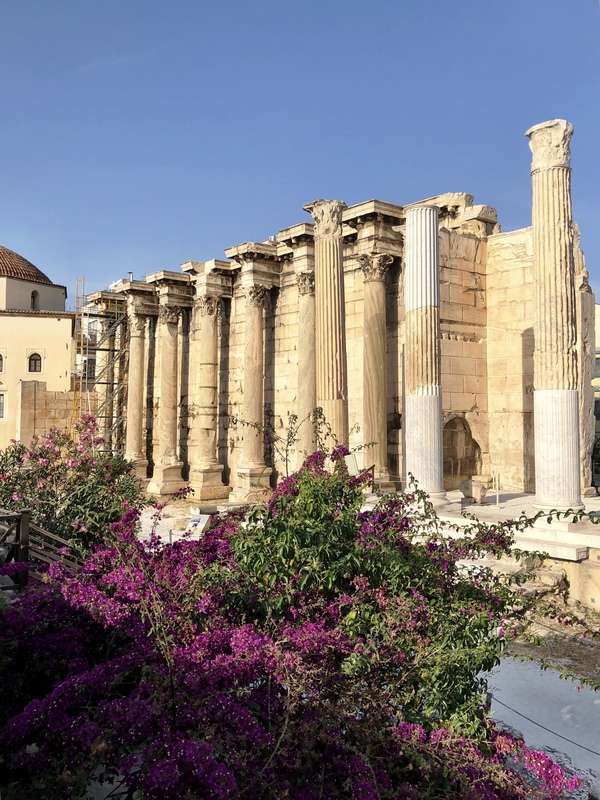 They will also proudly point out the increase in the number of Americans who have been visiting Greece the past couple of years. 4) The Hype – ya’ll, Greece totally lives up to the hype. When you see photos of Santorini and think it can’t possibly look like that.. but it totally does!! 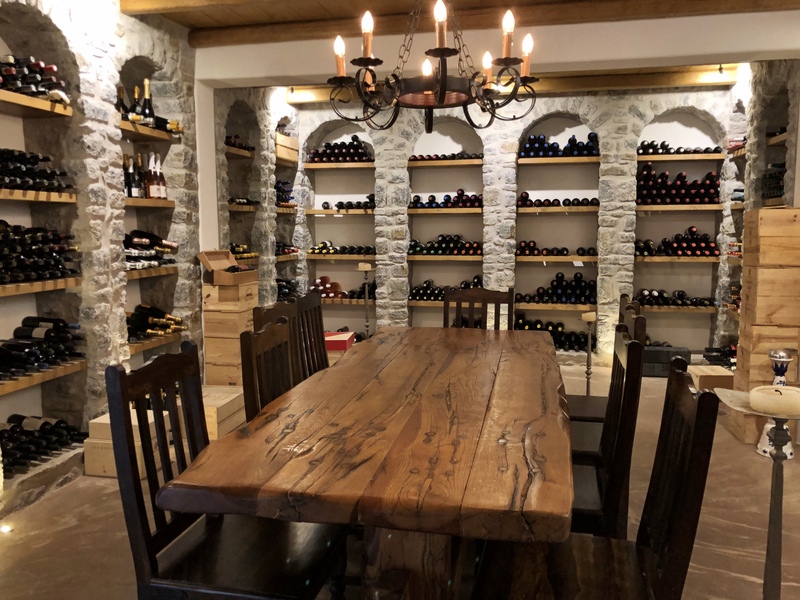 It is basically Pinterest come to life. The sea is really that blue. The buildings are really that white. 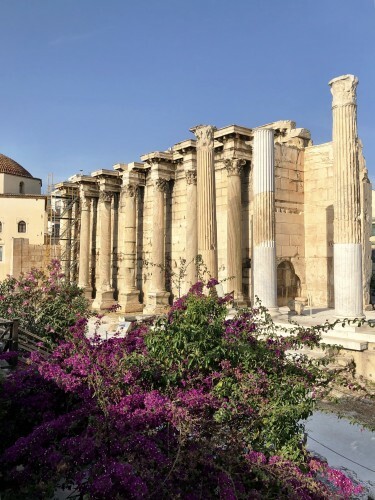 And Athens, the very cradle of civilization, with its UNESCO World Heritage site, the Acropolis? MUST DO. 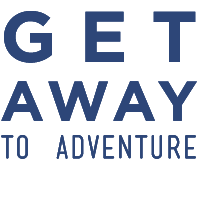 5) The Diversity – there is something for everyone and so many different ways to see this beautiful country! 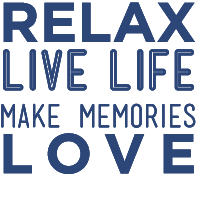 Rent a yacht and cruise the islands, stay on the mainland and check out the historical sites, easily get around via ferry and quick flights. Perfect for honeymooners, families, girls or guys getaways.. Great beaches, historical sites, and did you know that northern Greece even gets snow and has great hiking? 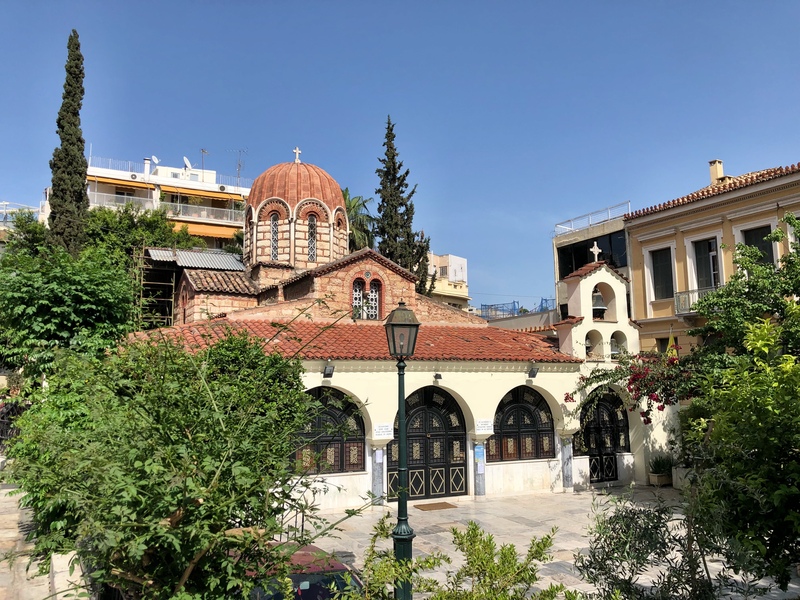 Our first stop was Athens where we enjoyed a walking tour around the Acropolis and the Plaka (the cobblestoned streets neighborhood at the foot of the Acropolis and where many hotels are located). 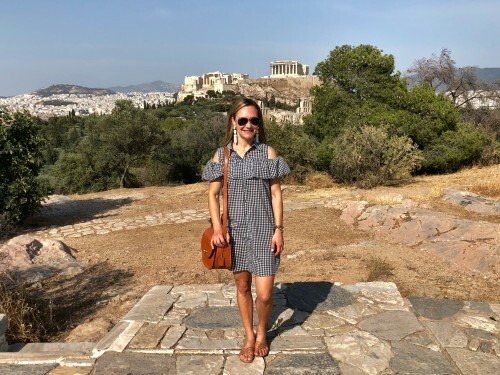 Obviously while in Athens, one must eat all the Greek food and see all the historical sites. (Is it ok that I still dream about the perfect Greek salads, tzatziki, and smoked eggplant dip?!) If you spend the first night here to recover from jetlag, do a full city tour the next day followed by a fab dinner and spend the night again.. that is a perfect jumping off point for the Greek islands! 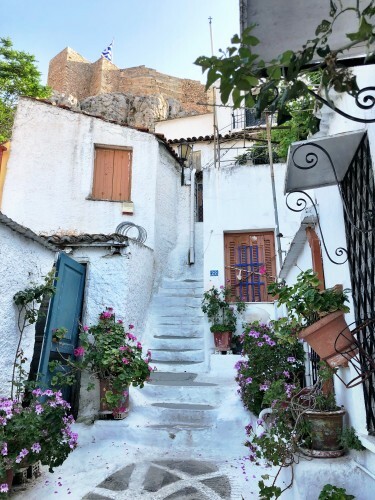 Anafiotika neighborhood in Athens’ Plaka, its whitewashed homes evoke the islands.. so pretty! 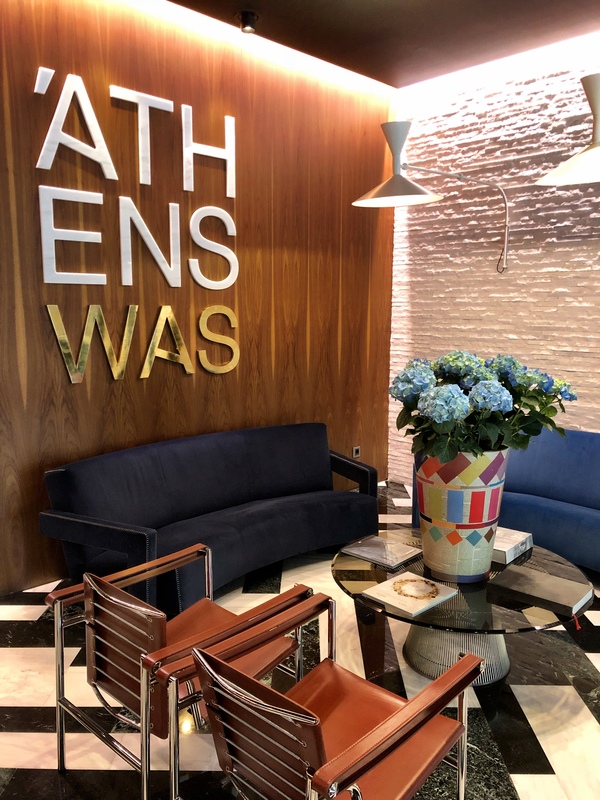 For a more boutique alternative, I loved the Athens Was and the New Hotel, both well-located in the Plaka and both have great rooftop terraces. 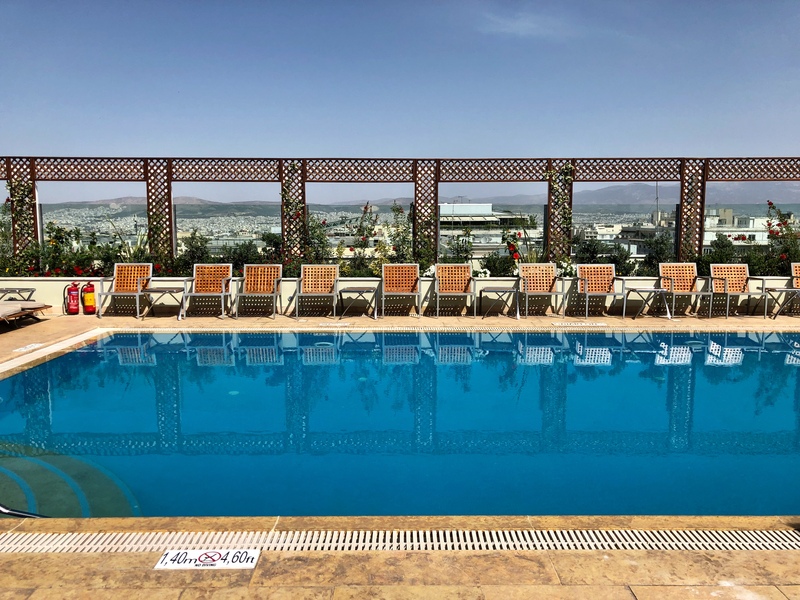 One other great choice to consider is the Electra Metropolis Athens, a brand new hotel with a stunning rooftop terrace with pool! 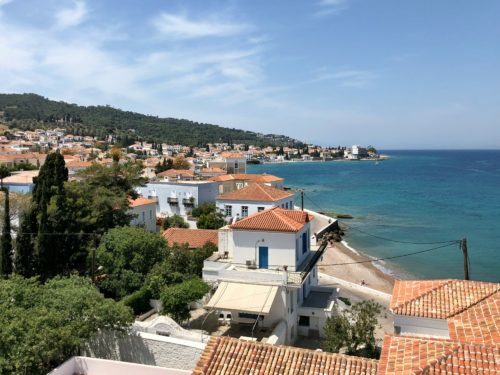 Wealthy Athenians escape to Spetses, which is just a 2-3 hour ferry ride from Athens. In summer, yachts line the harbor and the well-heeled guests dine at the many cute open-air taverns lining the sea, like Tarsanas. 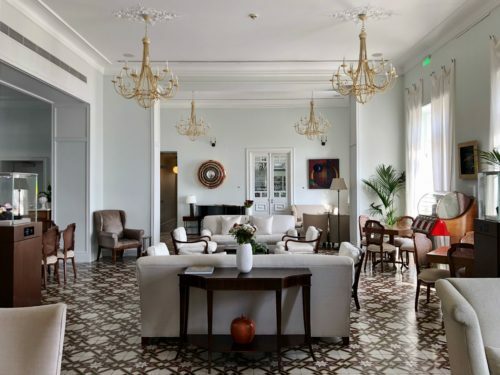 The best 5* hotel on the small, almost car-free, island is the historic Poseidonion Grand Hotel. 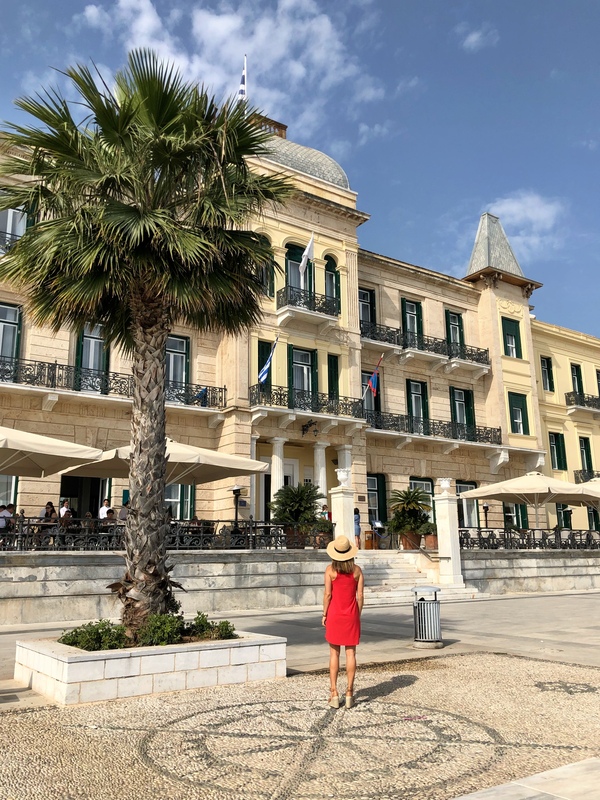 This gem of a hotel dates to 1914, and you can almost imagine the jet-setters of decades ago enjoying the coastal breezes on the spacious first floor veranda. 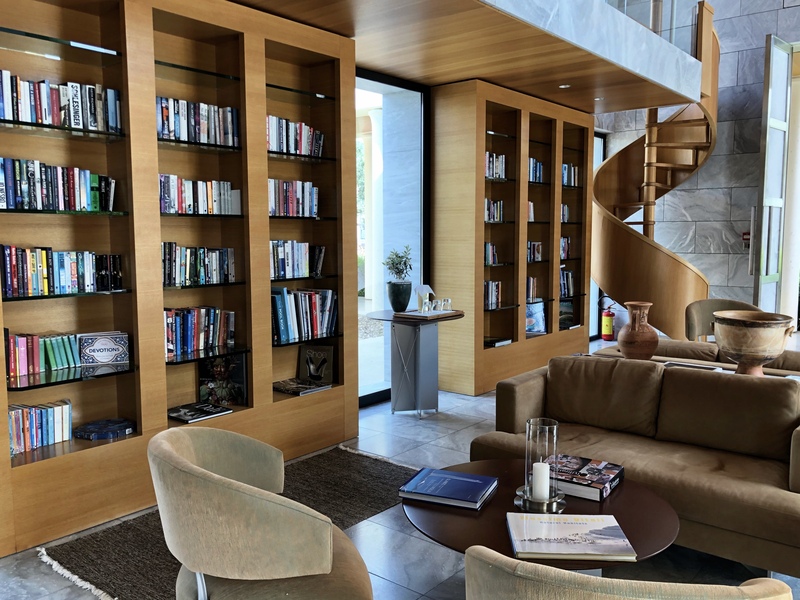 The lobby and living areas are light & bright and the architecture feels would feel right at home on the French Riviera. Poseidonion terrace where you may enjoy breakfast or a lazy lunch! 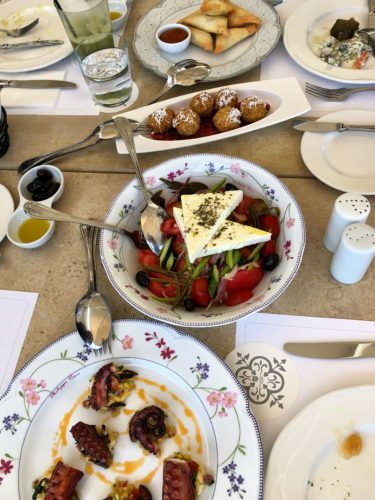 A perfect light Greek lunch on the terrace! 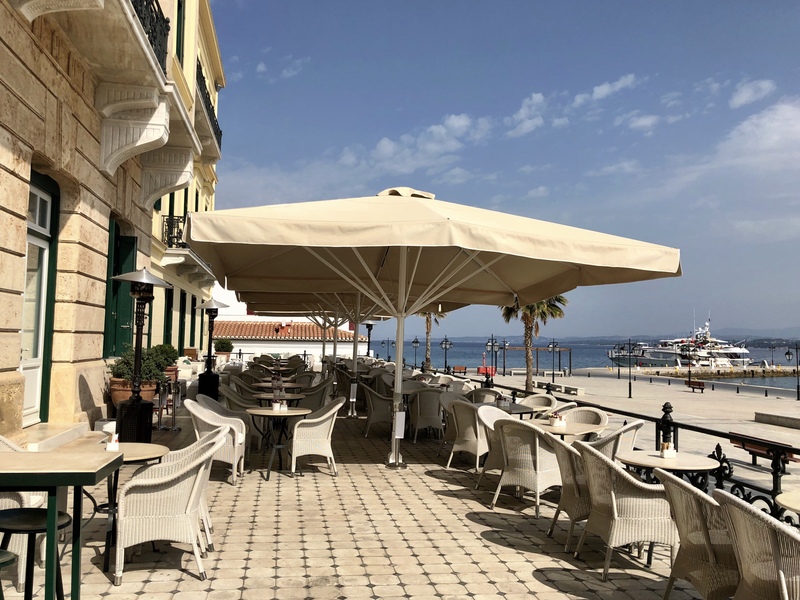 Cute fish taverns lining the Spetses harbor; we loved Tarsanas! 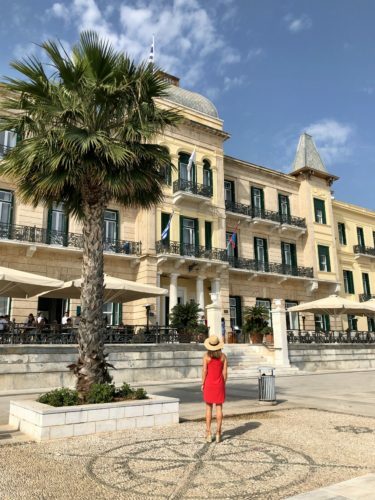 Our clients always enjoy extra perks and VIP status at the Poseidonion Grand Hotel! Next up, we visited the stunning Amanzoe, on the east coast of the Peleponnese near Porto Heli. From Spetses, we took a simple 10 minute water taxi back over to the mainland, and then Amanzoe whisked us away in a luxury van for a 10 minute ride to the resort. In this way, Spetses and Amanzoe pair really well together in an itinerary, OR you can easily day trip over to the cosmopolitan Spetses (or laid-back Hydra!) 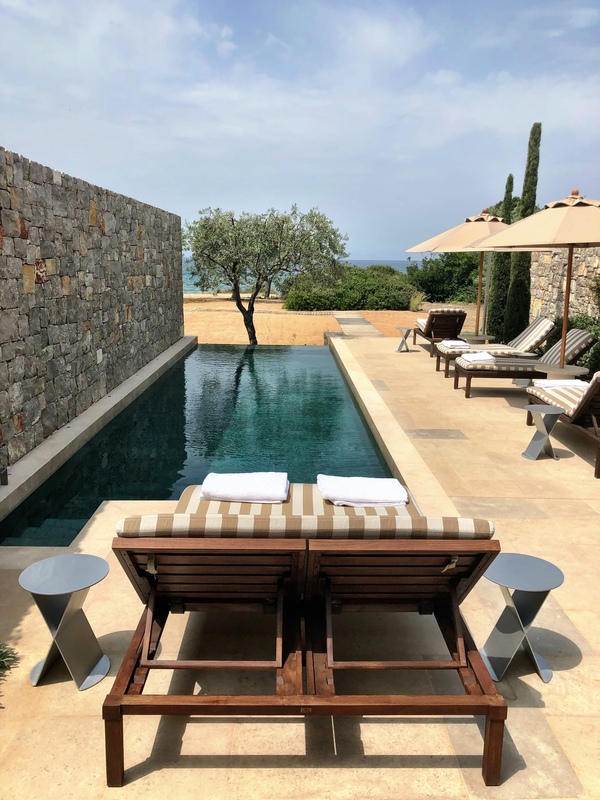 from Amanzoe. 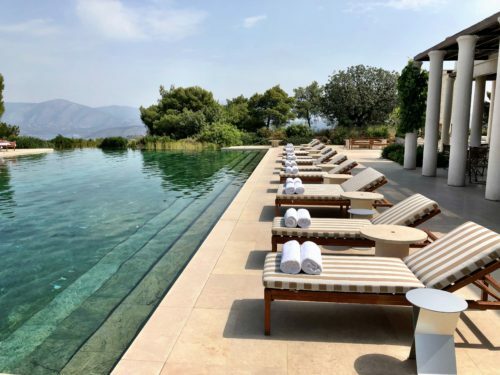 On the mainland itself, from Amanzoe, you may visit the well-preserved archaeological site of Mycenae, just 1.5 hours north, the seaside town of Nafplio just an hour north (was the Greek capital before Athens! 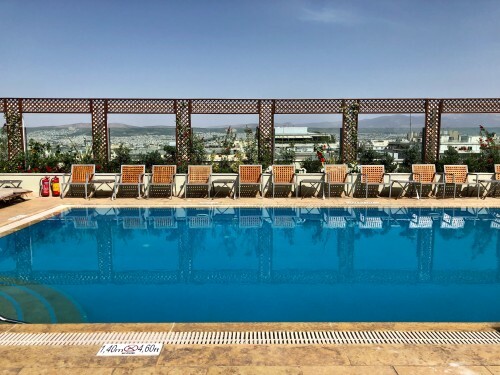 ), or just lounge poolside taking in your beautiful Greek surroundings. 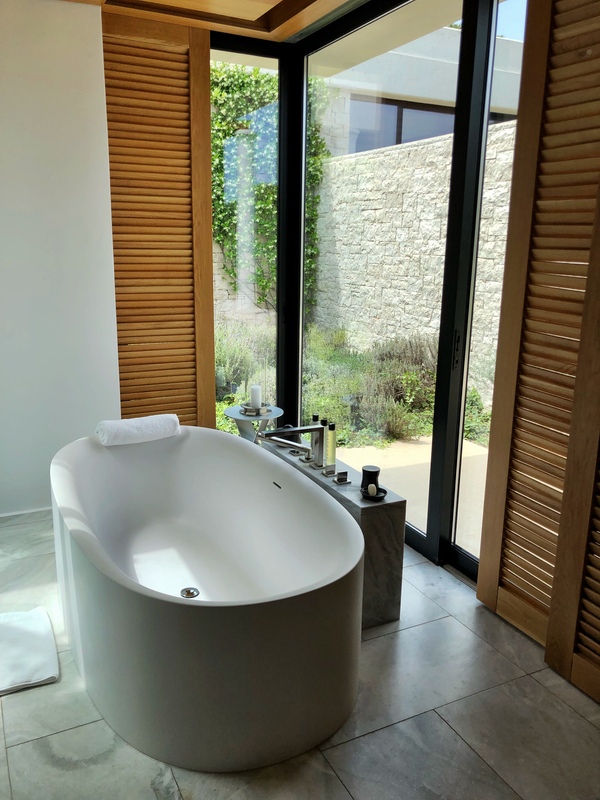 Aman properties share a similar aesthetic.. a bit minimalist, a lot luxury, and tend to be an oasis of calm and serenity. 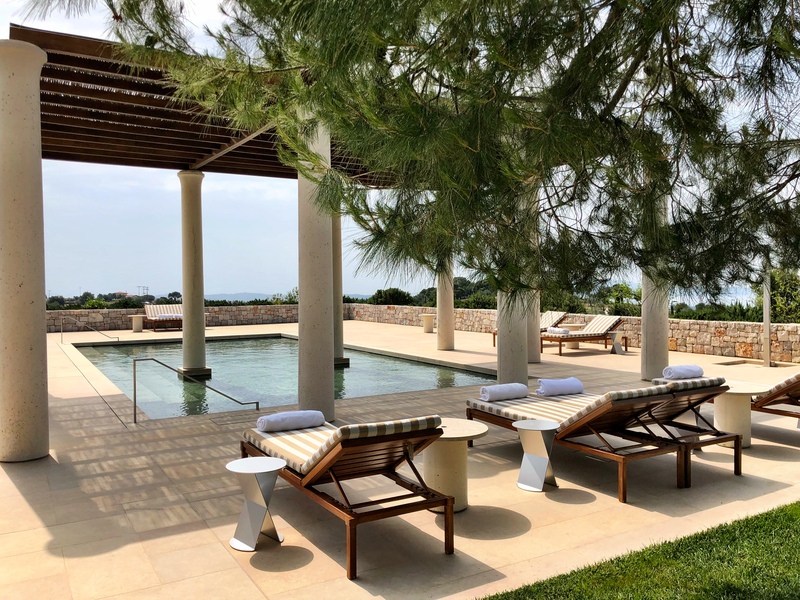 Amanzoe does not disappoint- it was created to evoke the Parthenon in Athens and upon entry you see large columns flanking shallow white-pebble lined pools of water. Continue walking and you start to wonder if you are in Greece.. or Tuscany? The resort sits up a bit on a hill and is surrounded by olive groves, cypress trees, and views out to the bluest sea. 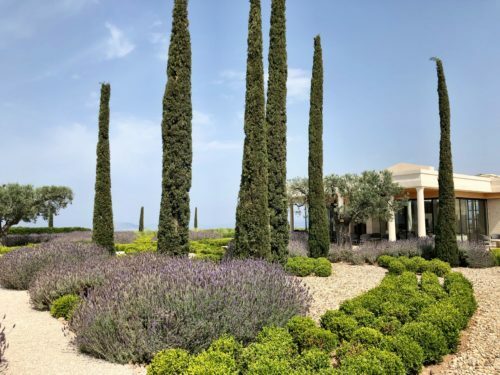 Fragrant lavender fields also dot the property creating a beautiful, and tranquil scene. 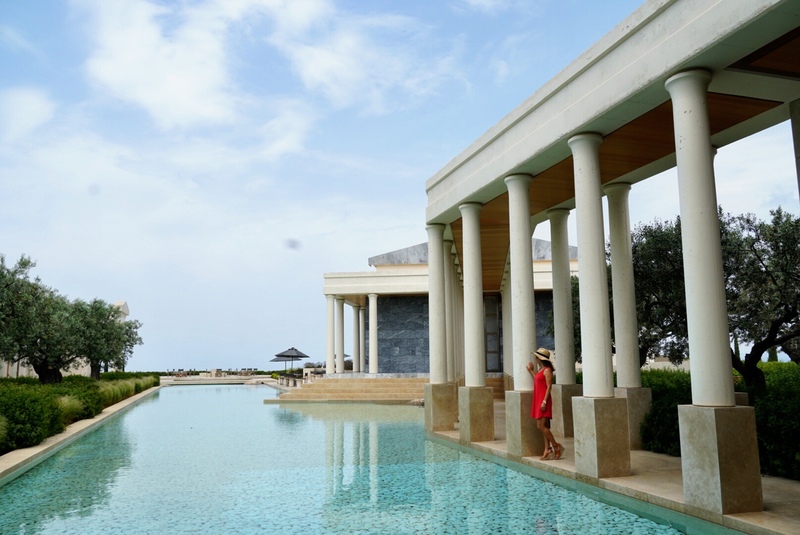 Each of Amanzoe’s spacious 38 pavilions and 8 private villas comes with its own private pool. 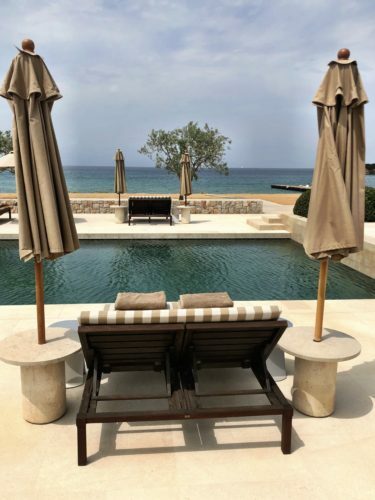 There are four Beach Cabana room types that are right on the beach (also with private pools).. just a 5 minute or so golf cart ride down the hill. Some guests even split their stay between pavilions higher on the hill and then a beach cabana. Naxos is the largest of the Cycladic Islands of Greece, and just a short ferry ride from Mykonos (in fact, the ferry from Mykonos to Santorini stops in Naxos, where we got off for our short stay!) 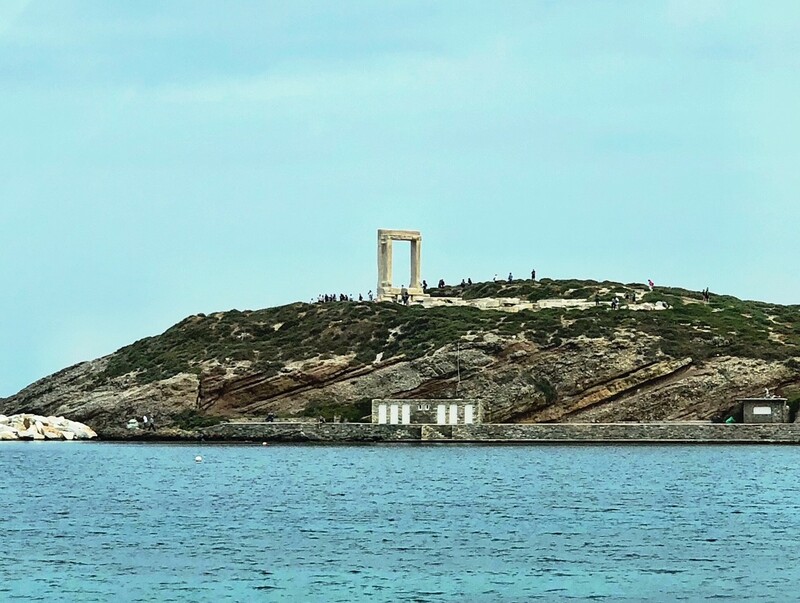 Immediately after disembarking the ferry you see the Apollo’s Temple entrance arch (Portara) just to the left on a hill. This 2,500 year-old unfinished marble sculpture faces Delos, the birthplace of Apollo, so it has been assumed that this was in honor of him.. though others think it was a monument to the god Dionysus (the god of wine! 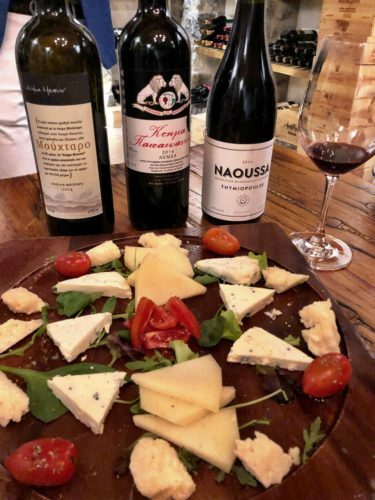 ), who was born on Naxos, which is rich with vineyards. It’s like a doorway to nowhere, but it is so perfectly Greek, I loved it!! 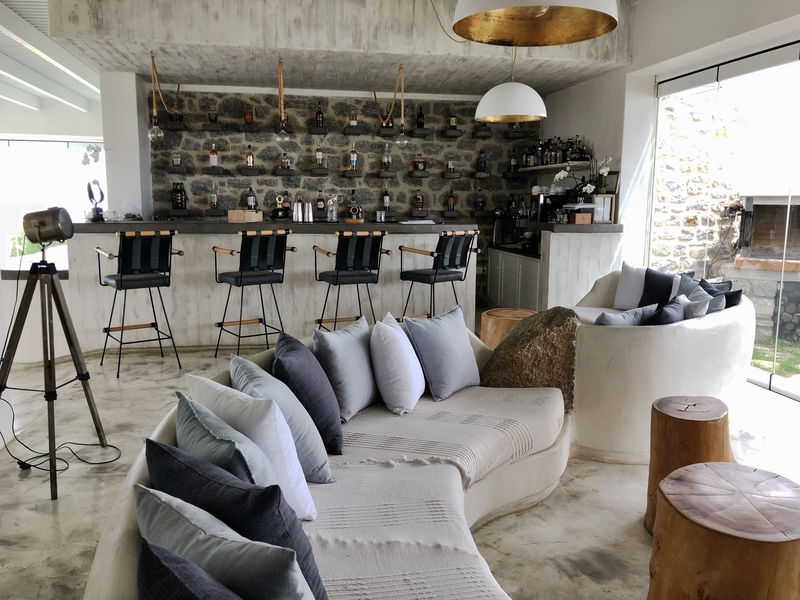 Naxian Collection Luxury Villas & Suites- cutest little bar! Naxian Collection Luxury Villas & Suites- lunch! 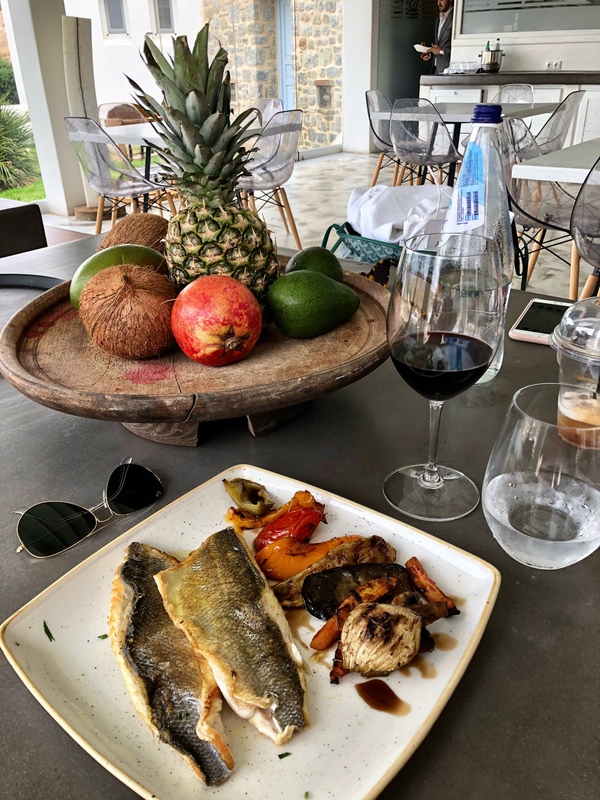 Cannot beat fresh fish + local wine!! We stopped in for a site visit of Naxian on the Beach, which wasn’t yet open for the season in early May! 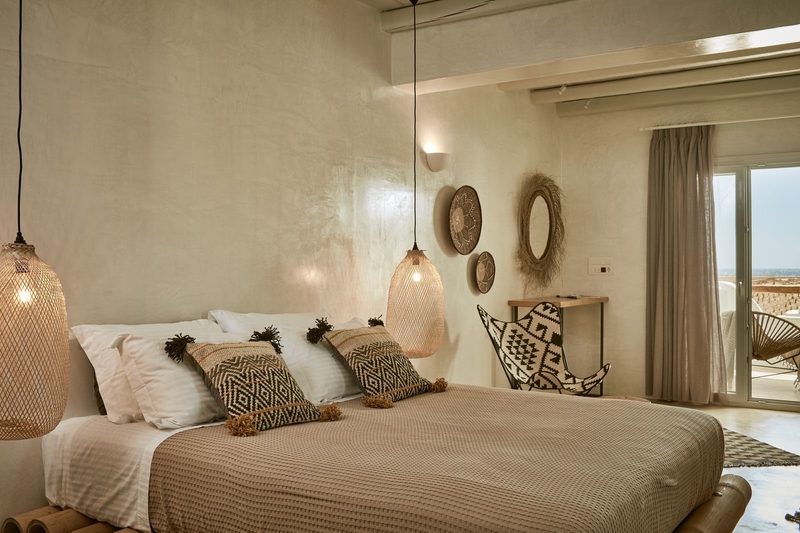 They were completing some work in and around the property, but it definitely has boho vibes- from Moroccan style pillows and breezy neutral colored decor, to the al fresco restaurant and bar just on the beach. Book a Sea View Suite with jacuzzi on the patio and laze away an afternoon staring at the sea with a bottle of rose. 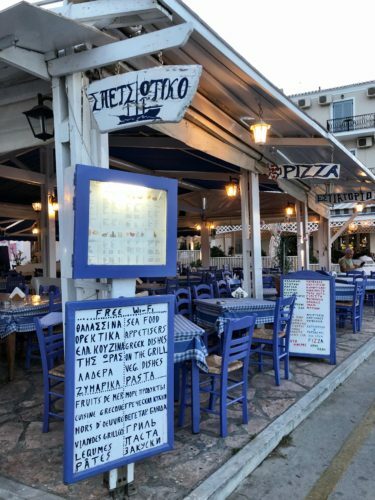 There are some beach clubs and restaurants several miles down the road from Naxian on the Beach, but in general, a rental car or scooter is a great idea if you are staying here- will greatly enhance your ability to explore the island on your own! 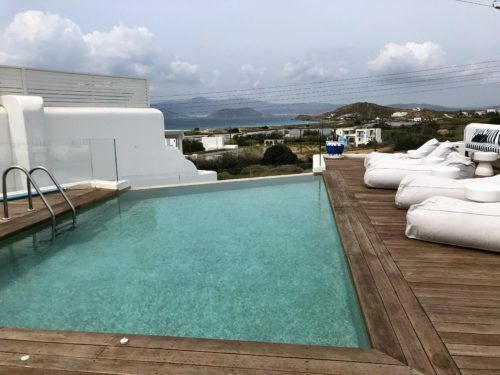 Another great choice to stay is the new 18 Grapes hotel on Naxos. 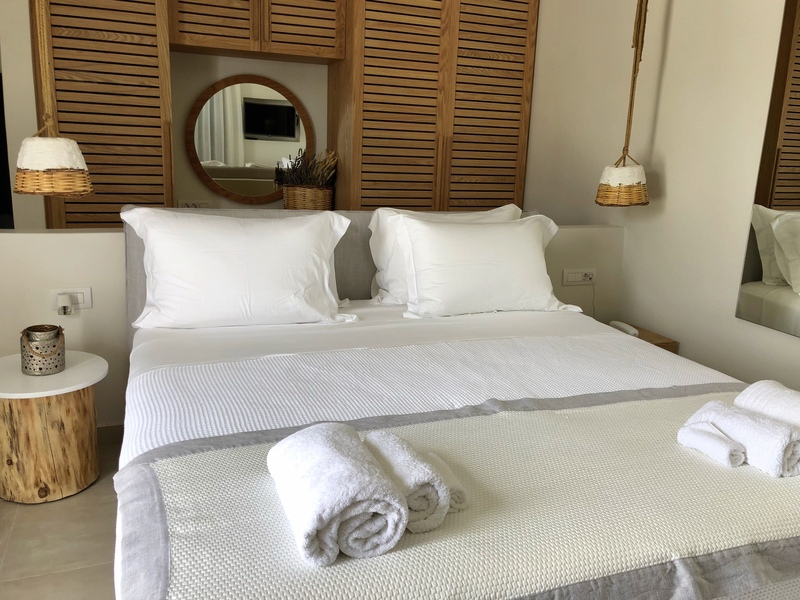 This boutique property is situated right near Agios Prokopios beach and features breezy white decor and two swimming pools for guests. It’s very close to Naxian Collection and only 10 minutes from the main town/port. Agios Prokopios beach is also home to many laid-back beach bars, like Kahlua Beach Cafe & Bar. We had a great dinner at Meze in Naxos Town, before continuing our walk down the harbor for nightcaps at Swing bar. 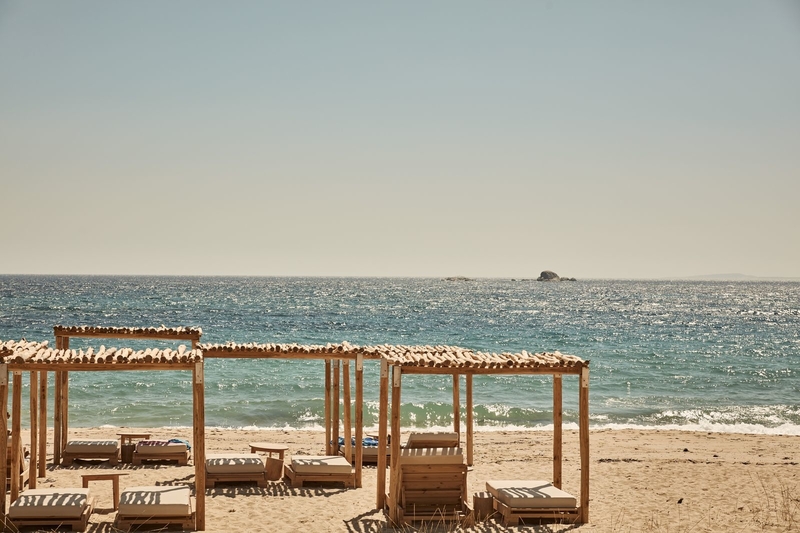 Perfect evening in Naxos!! 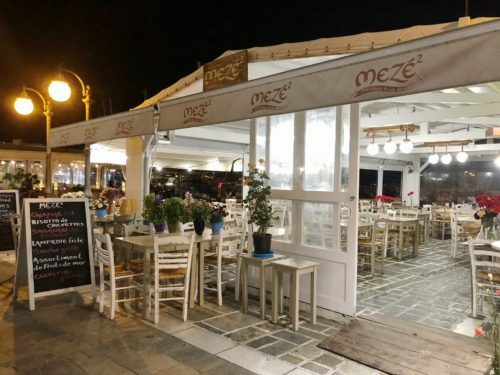 Meze for dinner in Naxos Town- great Greek tapas! 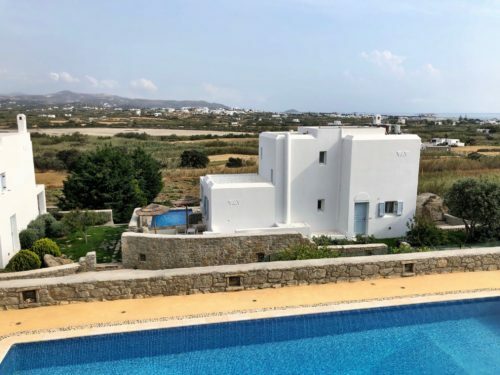 So, after taking in Athens, Naxos, Spetses, and Amanzoe.. it’s time for a bit more mainstream Greece- Mykonos & Santorini! 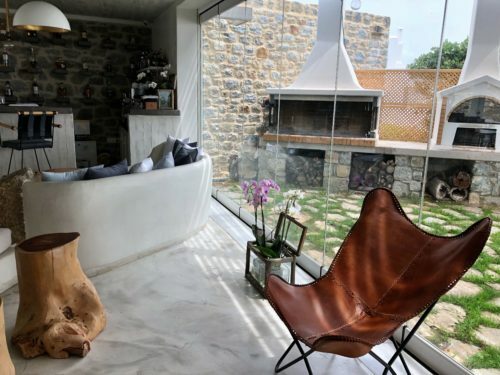 The best of where to stay, play, and dine there are covered in Greece Part 2.